WEDNESDAY, April 5, 2017 (HealthDay News) -- Movie villains often have a "look," and it's not a good one, a new study reports. Scary, evil characters in films tend to have certain types of less-than-attractive facial features -- bulbous noses, warts and scars among them, the researchers said. But while these nasty personalities are fictional, the way they look could have real-life consequences for people who suffer from skin problems, the study authors warned. "Negative portrayals of skin conditions in film likely serve to perpetuate a tendency toward discrimination in our society, targeted at those with certain skin diseases," explained researcher Dr. Julia Croley, from the University of Texas Medical Branch in Galveston. In the new study, the investigators assessed the top 10 antagonists and protagonists from the American Film Institute's 100 Greatest Heroes and Villains List. Croley's team found similarities among six of the villains: Dr. Hannibal Lecter ("The Silence of the Lambs," 1991); Mr. Potter ("It's a Wonderful Life," 1947); Darth Vader ("The Empire Strikes Back," 1980); The Queen ("Snow White and the Seven Dwarfs," 1938); Regan MacNeil ("The Exorcist," 1973); and The Wicked Witch of the West ("The Wizard of Oz," 1939). Hair loss: Dr. Lecter, Darth Vader and Mr. Potter. Dark circles under the eyes: Darth Vader, Regan MacNeil and The Queen. Deep wrinkles: Darth Vader and The Queen. Multiple facial scars: Darth Vader and Regan MacNeil. 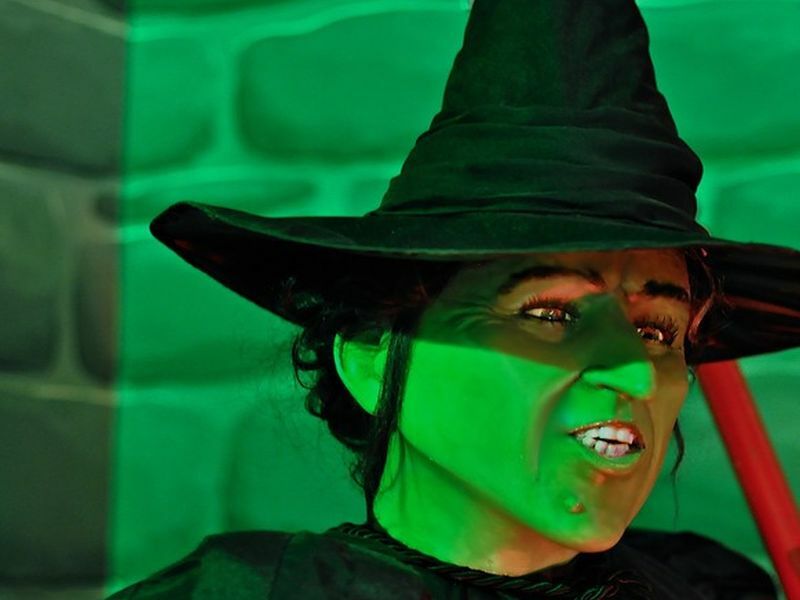 Warts: The Wicked Witch of the West and The Queen. While six of the top 10 movie villains had specific facial features, only two film heroes did. Both Indiana Jones ("Raiders of the Lost Ark," 1981) and Rick Blaine ("Casablanca," 1942) had facial scars. However, their scars were more subtle and shorter than those seen on the villains' faces, the researchers said. According to Croley, "biased portrayals of skin disease date back to the silent film age. During this time, filmmakers relied on visual cues in the absence of spoken word and the bad skin/bad guy bias was born." She said that beyond reinforcing prejudices in the general public against people with skin conditions, these on-screen depictions "serve to perpetuate unfavorable self-images people with skin diseases may harbor." The report was published in the April 5 online edition of the JAMA: Dermatology.